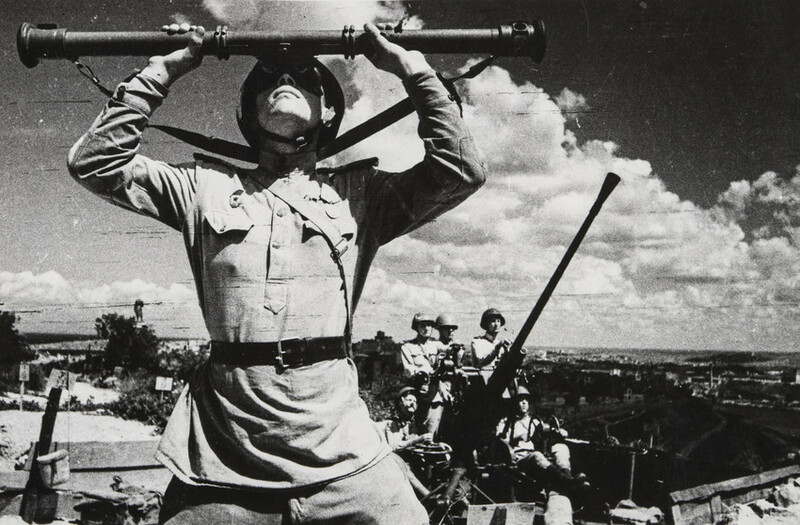 Yevgeny Khaldei is not very famous, but he is one of World War II's greatest frontline photographers. 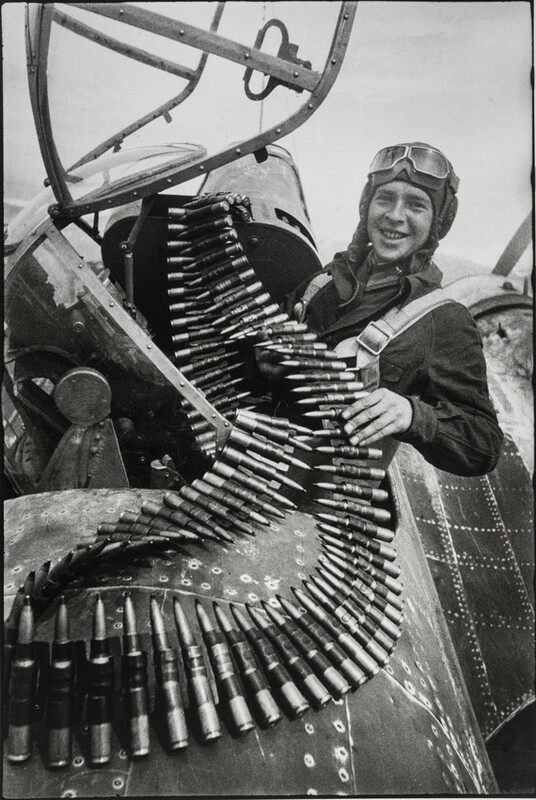 Yevgeny Khaldei is not very famous, but he is one of World War II's greatest frontline photographers. / Elated Bulgaria. 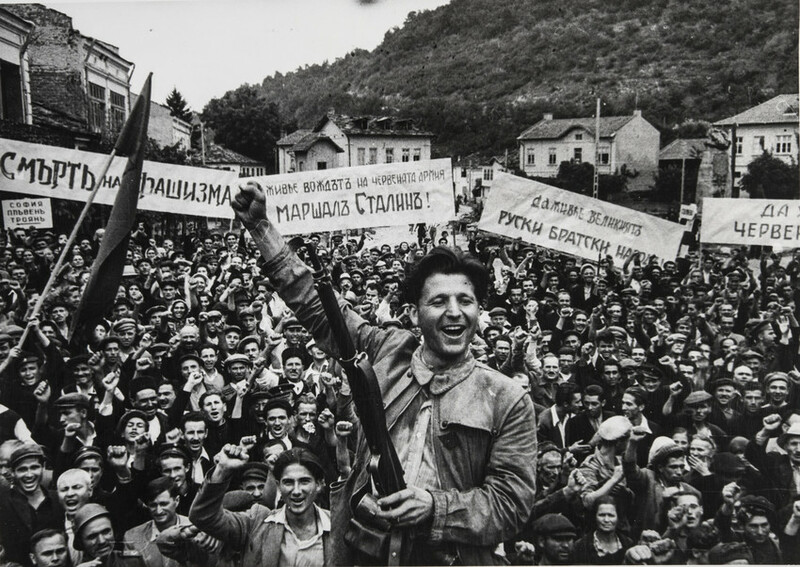 Guerilla Warrior Kocha Karajev, 1944. Modest and unflappable, the short, stocky pensioner lived in genteel poverty, residing in a small one-bedroom apartment in Moscow's northwestern suburbs. / Untitled (Artillerists), Sevastopol, 1944. And yet this was a man whose iconic images of the Red Army's campaign to push the Nazis back across Eastern Europe as far as Berlin, were as famed worldwide as he himself as a personality was unknown. / Traffic-Controller Anna Batianova. 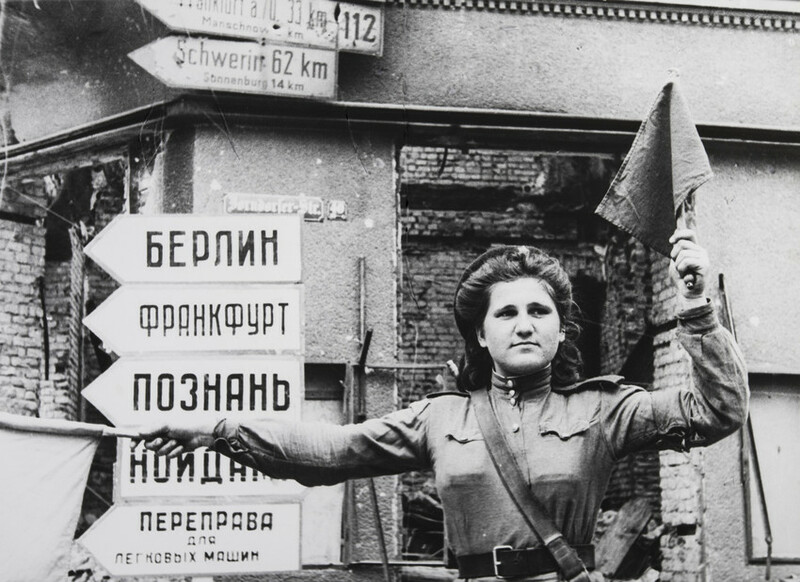 Germany, Kustrin, 1945. 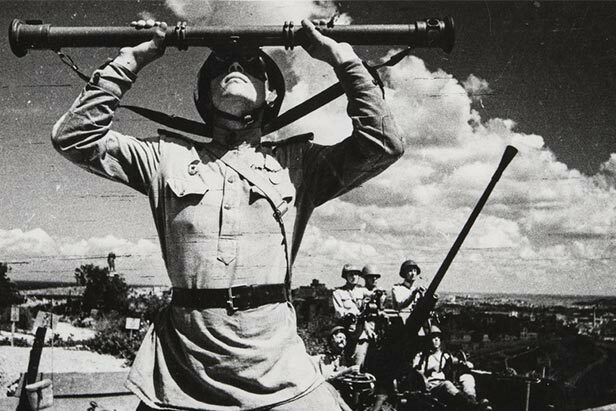 The State Museum and Exhibition Center ROSPHOTO presents the exhibition “Yevgeny Khaldei. The Banner of Victory” that will be on a display until June 25th. (Address: St. Petersburg, ul. Bolshaya Morskaya, 35) / War. What Is It Good for? 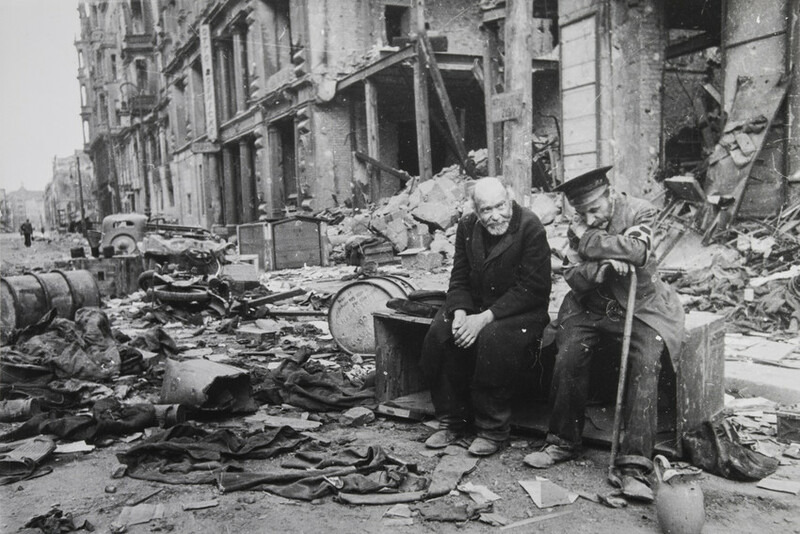 Berlin, May, 1945. 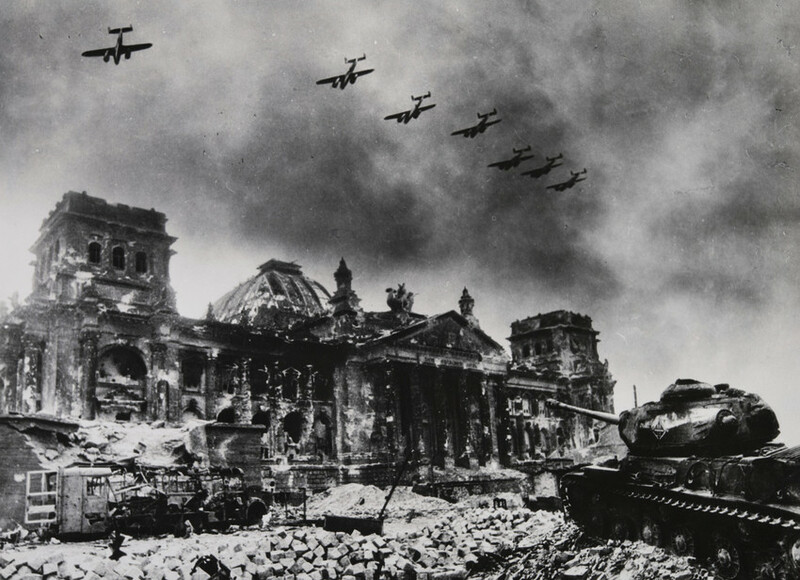 Khaldei’s images, which included haunting portraits of top Nazis in the dock at the post-war Nuremberg Trials, have been hailed as being among the greatest photography of World War II. 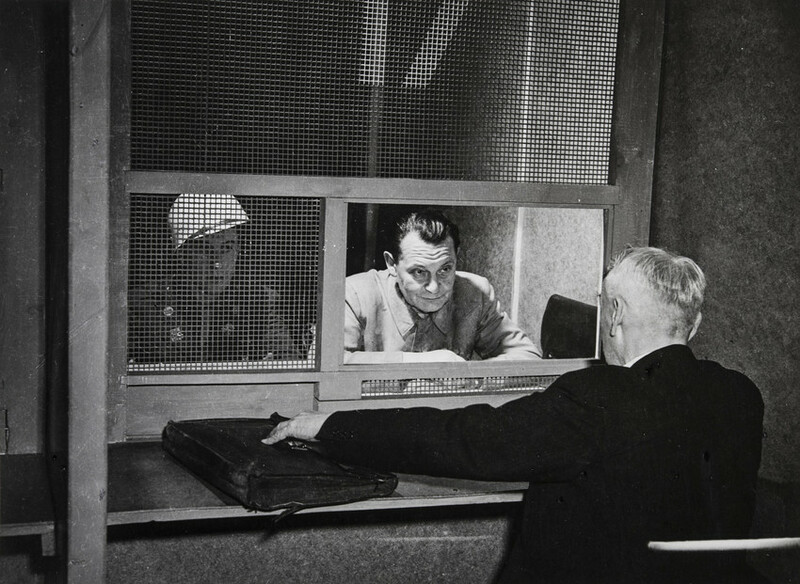 / Hermann Wilhelm Goering Meeting His Lawyer. Nuremberg, 1945. Denied copyrights to his own photographs, which were often published un-credited, Khaldei never gained the fame of many of his contemporaries, such as American photographers Margaret Bourke-White and Robert Capa, who presented him with a Speed Graphic camera when they met during the Nuremberg Trials. / Budapest, 1945. Today original copies of his works fetch thousands of dollars. 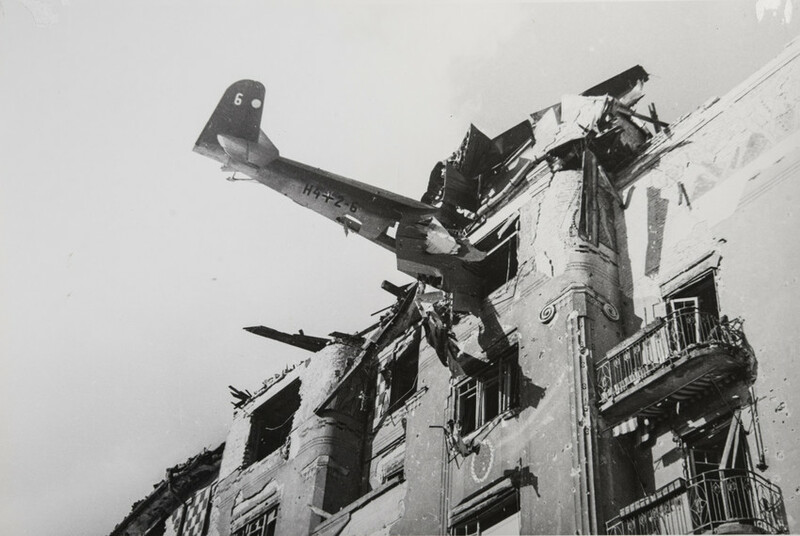 / Berlin, May 1945. In November 2014, the 1937 Leica III he used to capture the famous Reichstag shot was sold by Bonhams in Hong Kong for over $220,000 / Towards Murmansk, The Subarctic, 1941. 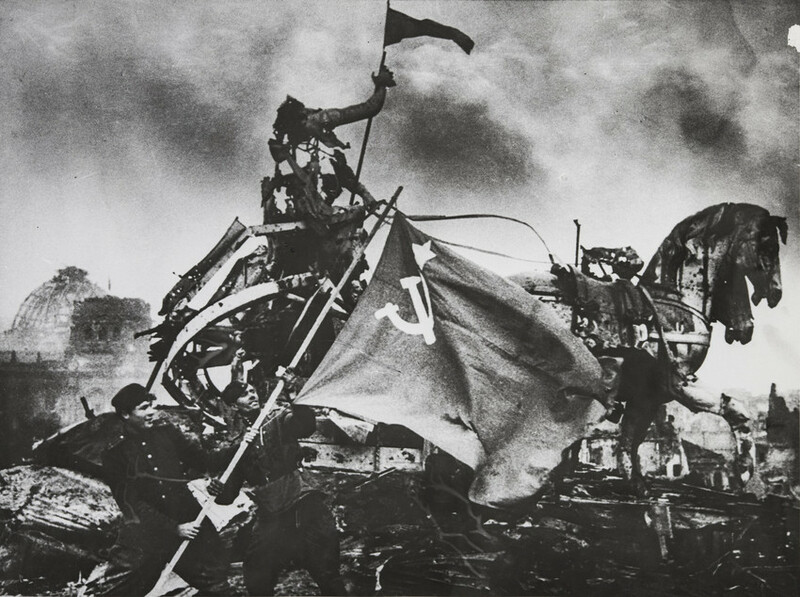 Yevgeny Khaldei traveled a lot across the Soviet Union and in Europe, depicted war in various cities and different regions. 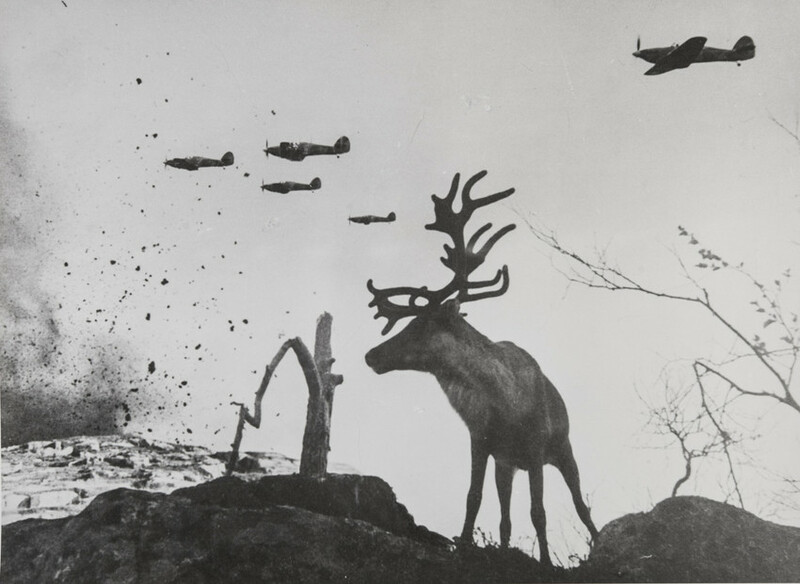 / From ‘Polar Aviation’ project, The Subarctic, 1941. 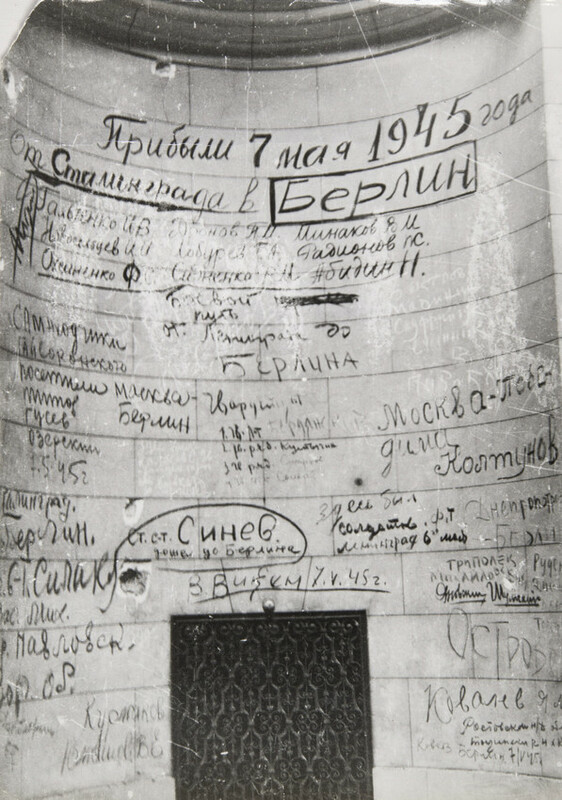 Interest in his work picked up towards the end of his life and, in 1995 at the Perpignan International Festival of Photojournalism, he was awarded the title of Knight of the Order of Arts and Letters, one of France's highest cultural awards./ The flag of victory on the Brandenburg Gates, Berlin, 1945. A French TV channel also ran a documentary film about Yevgeny Khaldei’s life and work. / Signs on the walls of Reichstag, Berlin, 1945. He continued working until his death, processing rolls of film in his own darkroom at home using equipment dating back to the war years. / On the Parade Victory. 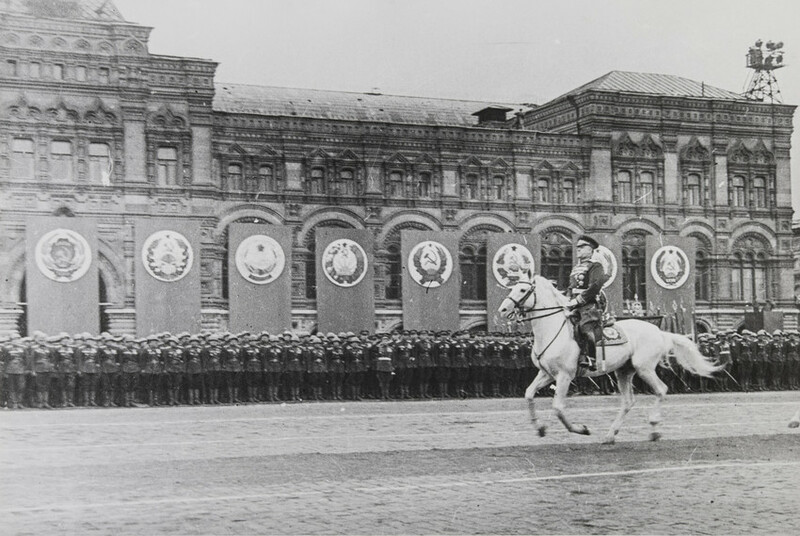 George Zhukov reviews the troops, Moscow, 1945.